V berth forward with insert to make large berth. Head midship to port across from hanging locker. 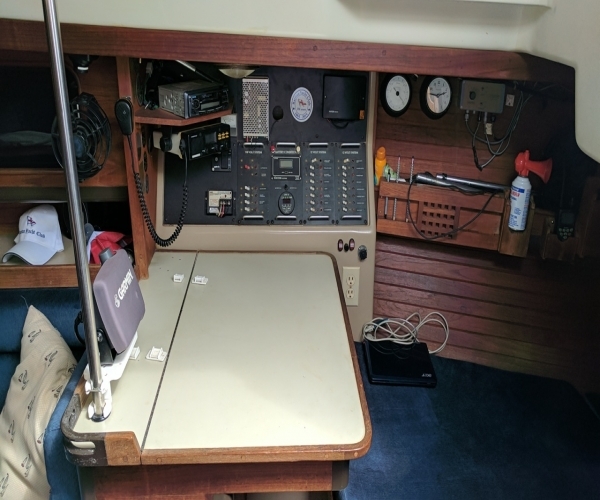 Nexus instrument system with 2 multi-XL mast instruments, one wind instrument, one multi instrument and one steer pilot with port/starboard actuation from helm. Fluxgate compass. 1meter masthead carbon fiber stick for wind instrument to counter upwash. All instruments are configurable to the owner’s specifications and desire. Computer interface for calibration. Scanstrut LMM-1 self leving radar mount with GPS mounted and 6 db VHF antenna. 3 db VHF antenna at masthead. 1 heavy-duty two-handed winch handle. 3 burner CNG stove with oven. 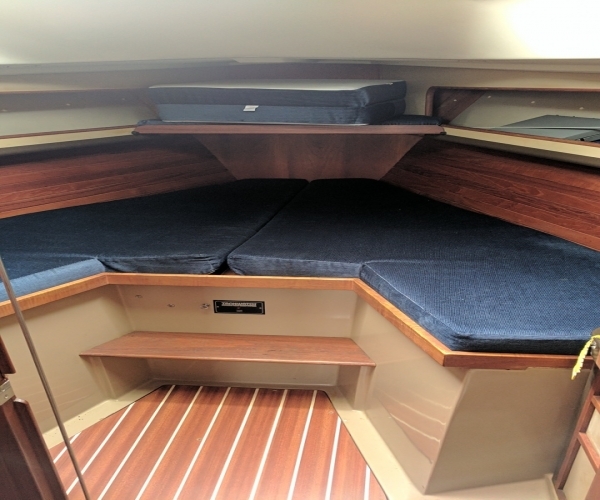 Teak expandable cocktail/dinner table for cockpit. 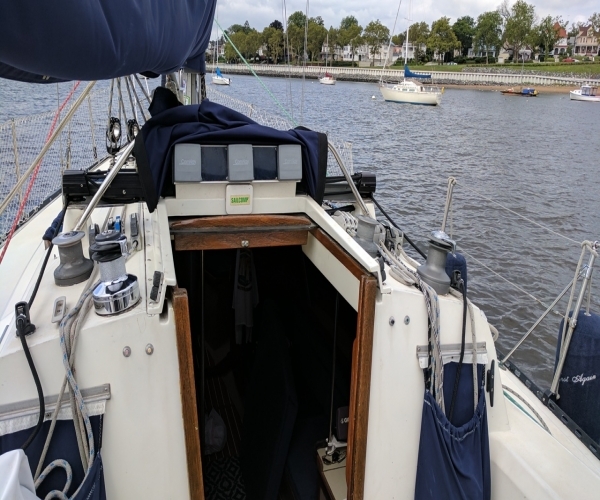 Over the 25 years that I’ve owned her, she has been well taken care of, extensively upgraded and is in ready to sail away condition. 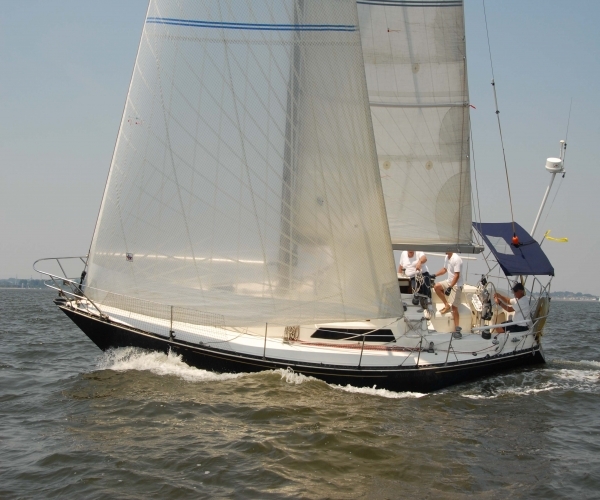 The C&C 35 MK III is a joy to sail and is solidly built, dependable, quick, very seaworthy and sure to provide its next owner with many years of satisfied, wonderful sailing. We have cruised her extensively and she is typically one of the first boats to make port. 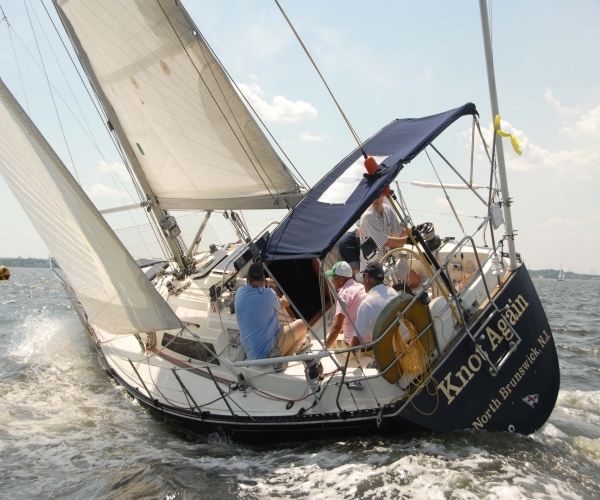 She has been raced extensively and has numerous trophies, club championships and both fleet and division firsts in the Around Long Island Regatta (18 ALIR trophies). A partial list of the trophies I can document is attached. I have given away many of my trophies to crew and the list is far from complete. Knot Again has recently (2016) had her portside hull repainted in flag blue Awlgrip. 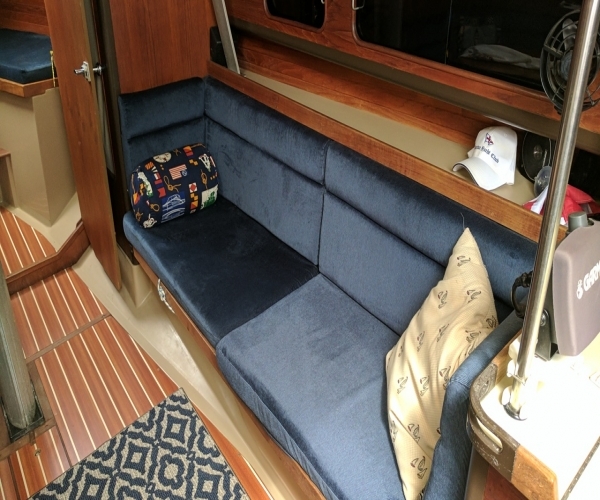 The transom and starboard side have been re-Awlgripped within the last few years. The rod rigging was replaced approximately 10 years ago. Standing rigging constantly upgraded. 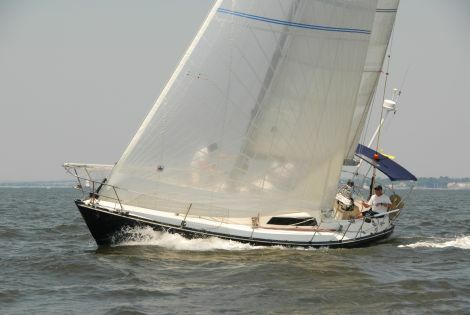 The keel was dropped and rebedded. There is no “C&C smile”. The Yanmar 3 GMD diesel engine recently had all belts, impellers and hoses replaced. Motor mounts, exhaust elbow, exhaust hoses and electric fuel pump replaced within last 5 years. The engine runs perfectly and burns approximately ½ gallon per hour at cruising speed (2000 rpm @ 6.5 kts). Over the winter I had all battery cables and starter wiring replaced. 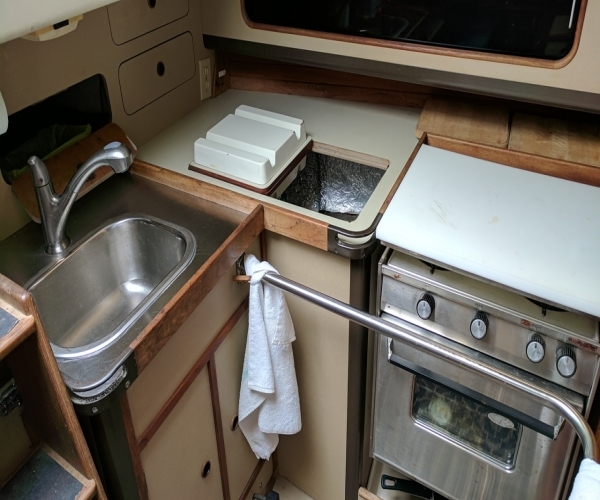 The engine has an aftermarket fresh water cooled radiator which feeds fresh water (plus antifreeze) to the hot water heater. All hoses replaced over last winter. Relatively new Flexofold 2 blade folding prop. Transmission rebuilt within last 4 years. 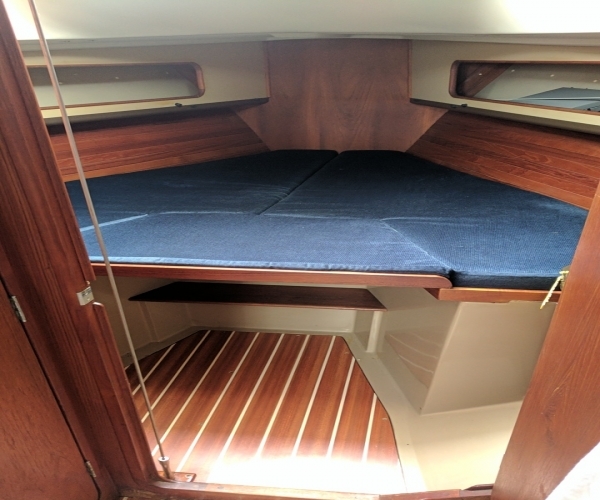 Cabin sole replaced with Marinelam Mahogany/teak laminate. 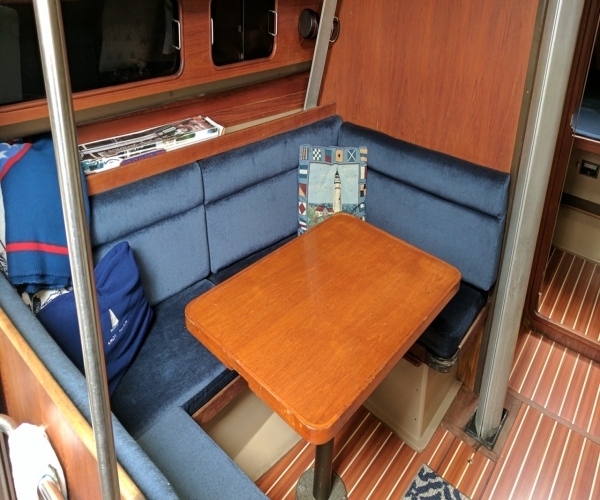 Post Sandy delamination of salon interior panels near head bulkhead and mast step noted in survey replaced with new wood and sealed. Interior cushions replaced in 2005. The current sail inventory is a new symmetrical spinnaker (RWB), plus a symmetrical spinnaker (RWB + stars), Doyle main and 135 genoa. 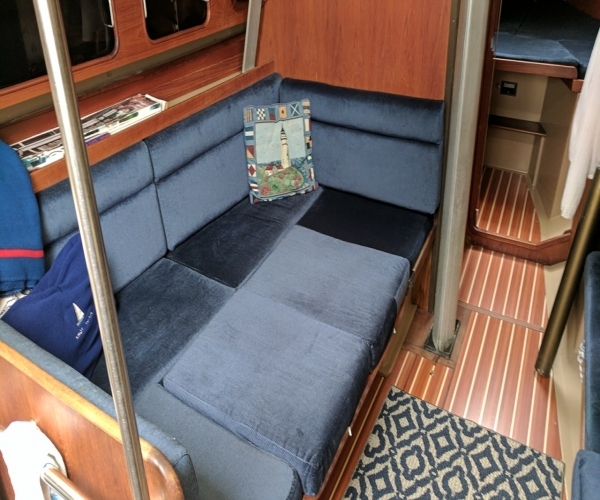 Genoa sock for racing 155 included (for sail with no UV protection). Harken Furler. Main has single line reefing for 1st and 2nd reef done from cockpit. Strong Track installed for easy hoisting and dousing of main. The boat has passed the Coast Guard courtesy inspection and has the most recent sticker. Lifelines and hardware replaced in 2013.